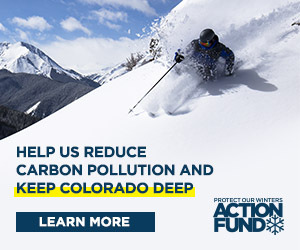 High Country Citizens’ Alliance (HCCA) announced this week that it was suing the state of Colorado over its decision to approve a tunnel at the Lucky Jack Mine that could be used to investigate the molybdenum deposit in Mt. Emmons. The environmental group contends that the tunnel will be used for mining activities and should have therefore been subject to a public review process. The Colorado Division of Reclamation, Mining and Safety approved the tunnel in late 2007 without public comment under a process known as a Notice of Intent to Conduct Prospecting. In March, HCCA appealed the division’s decision to the Colorado Mined Land Reclamation Board, seeking to reverse the approval of the tunnel and ask the state to review it as a mining permit, which would require more stringent environmental protections and public participation. During a March hearing, the Mined Land Reclamation Board denied HCCA’s request, relying heavily on the Colorado Attorney General’s recommendation that HCCA did not have enough standing to request a hearing on the issue, and that the board itself did not have the authority to review the discussion. In fact, the board decided that no appeal process exists to the division’s decision to approve the tunnel. In response, HCCA filed suit in Denver District Court on Friday, July 11—the deadline to do so. In its press release, HCCA says it has asked the court to find that citizens have standing to participate in mine permitting decisions and to petition the board for review of prospecting notices such as that issued to the Lucky Jack Project. The filing also asks that the court find that the proposed drift was improperly classified as prospecting and should be properly reconsidered as development. Senate Bill 228, which was passed this past spring, addresses some of the issues and would allow for public input on prospecting notices in the future. However, the bill does not create an appeals process. In its press release, HCCA stated that while being characterized as mere prospecting, the proposed activities include the construction of a new 3,600-foot-long mining drift that would be eight feet wide by 10 feet high. The tunnel’s construction would generate 27,000 cubic yards of waste material, which is described as having the potential to generate acid mine discharge. The organization contends the tunnel would be used to conduct a program of delineation drilling of the ore body, and would provide future access for mineral production. Anderson says U.S. Energy has no plans to join in the lawsuit. The earliest that HCCA will appear before a judge is early August. Neither the Colorado Attorney General’s office nor a representative from the Colorado Division of Reclamation, Mining and Safety could be reached for this story.